Approximately 66% of the gold that is mined in Colombia, one of Latin America’s main gold producers, has been extracted illegally, according to the United Nations. 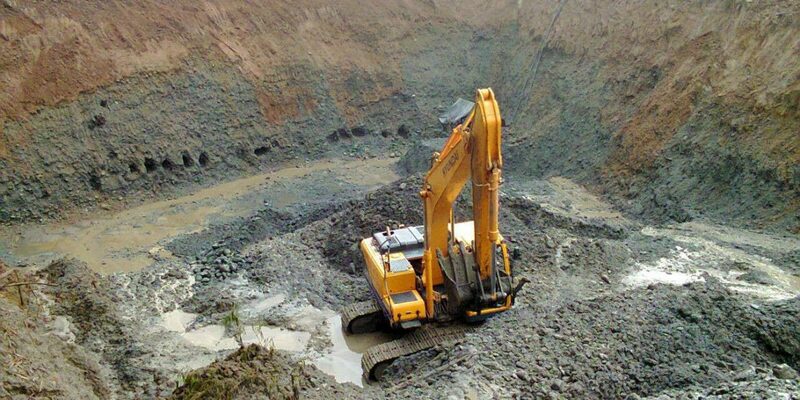 A study carried out by the United Nations Office on Drugs and Crime (UNODC) said that 84,000 hectares were affected by the illegal and informal mining practices. This is 6% more than the 79,000 hectares measured in 2014. The study warns that illegal gold mining continues flourishing in National Natural Parks, Indigenous Reserves and Black Community Lands, where this practice is strictly forbidden. According to the study, 47% of illegal gold mining detected was on these protected lands. Illegal mining operations generate approximately $2.4 billion a year, which according to intelligence agencies is three times more than the cocaine industry, according to US newspaper El Nuevo Herald. “Today, criminal mining moves more resources to illegal gangs, to guerrilla groups, to mafias than drug trafficking itself,” warned President Juan Manuel Santos in 2015. Colombia’s National Mining Agency reported legal production of 61.805 kg of gold in 2016, but the study says this number is underestimated since illegal gold mining is rampant. The study says it detected illegal gold mining in 14 out of the 32 provinces in the country. The provinces with the most concentrated illegal gold mining were in western Colombia, in Antioquia (37%) and Choco (39%). Despite the Choco’s slightly higher illegal gold mining, Antioquia mined the most legal gold in the country in 2016 (41%) compared to Choco’s (23.5%). Miners in Choco, Cauca, and Guainia interviewed in the study said most of their gold is destined for Medellin, the country’s main hub for gold exports.